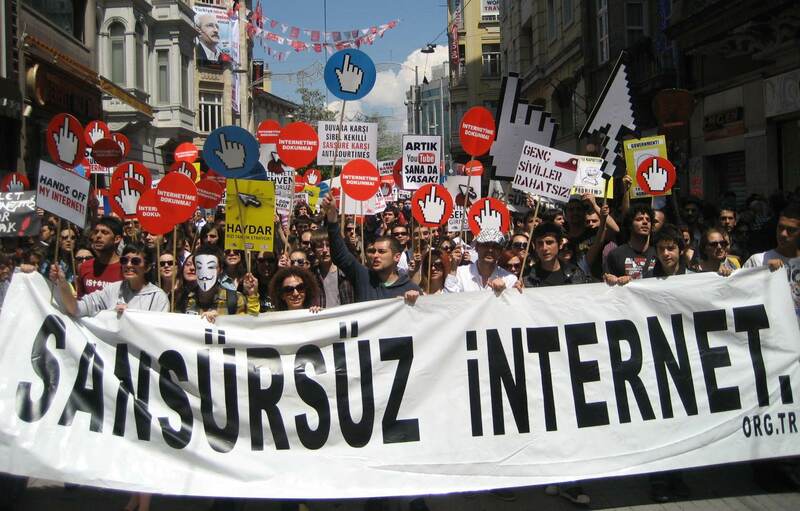 The protestors were demanding that the Turkish government take its hands off the Internet. The demonstrators considered the proposed new filters as just the latest step to tighten the government’s control over the Internet. Turkish officials say the filters are not about censorship. They are meant to protect children and families from harmful content on the Internet. But protestor Melike Ozbek says the authorities can’t be trusted. Not all of the protestors were Internet savvy youngsters. Gul Albay, 56, said this was her first protest in more than 30 years. She only uses the Internet for work but feels the filters proposal is scary. “This is really very very bad, it’s really a big damage for freedom because the Internet is so big and so deep,” Albay said. The new regulations are set to come into force on August 22. Users will have to choose one of four filters. One is called the family filter and another is for children. The domestic filter blocks all foreign sites. And the standard package will be the default. Yaman Akdeniz, a law professor at Bilgi University, worries that Turkish authorities will use these filters to step up control of the Internet. “They are not telling us whether there will be monitoring of everyone’s habits and usage, since everyone will have a user name and password under this system,” said Azdeniz. The head of the telecommunications regulatory agency, Tayfun Acarer appeared on television and denied that any filters would be mandatory. He said that the measures are meant only to enforce Turkish law. “Turkey is more transparent than many other countries regarding this issue,” Acarer said. “I want to emphasize this. When you go to a banned site in a European country, you see only a flag or a stop sign. But if a web site is blocked in Turkey, it is always clearly stated when, why and by which institution the page was banned. Turkey has closed thousands of websites. One was Eksi Sozluk, or Sour Dictionary, one of Turkey’s first, biggest and freest online communities. The founder of Eksi Sozluk, Sedat Kapanoglu, says the authorities shut down the site because one user said he liked marijuana. Kapanoglu said his website has two software developers and five lawyers. He’s bracing for the financial impact of the filters. A non-profit press freedom group has filed a lawsuit. It’s seeking an injunction against the filters, based on administrative and constitutional violations. A court decision is expected by the end of June.